3-minutes between you and pure green Choy! So, its been quite a while since I last posted any recipes of consequence. Fortunately, I have been cooking all kinds of things, but over the last two weeks I had been working so many hours, in the office and at home, that I didn’t have the time to post! But now I am back, and super excited to share a bunch of things with you. Firstly, congratulations again on your accomplishment! Next time maybe we should run a full one together… so we have to meet up in the next decade 😉 Secondly, my magic potions did the trick yet again! They helped me avoid getting sick! Combine the sauce ingredients in a small bowl; stir to dissolve cornstarch. Quarter each bok choy lengthwise. Rinse in cold water to loosen any dirt between leaves. Place a stir-fry pan over high heat until hot. Add oil, swirling to coat sides. Add garlic and cook, stirring, until fragrant, about 10 seconds. Add bok choy; stir-fry, until tender-crisp, 1 1/2 to 2 minutes. 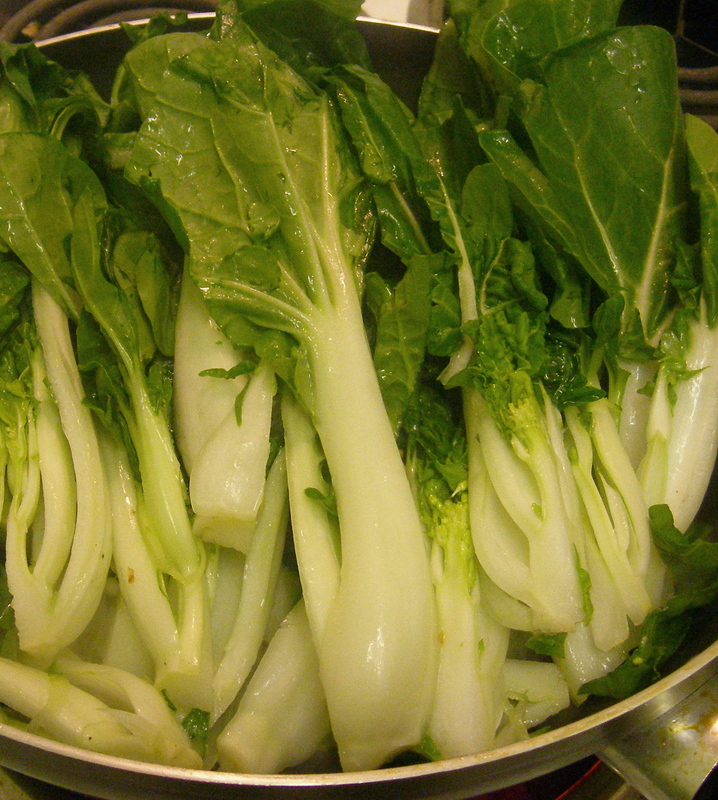 Add sauce and cook, stirring, until the sauce thickens slightly and lightly coats bok choy, about 30 seconds. Arrange on serving plate and serve. 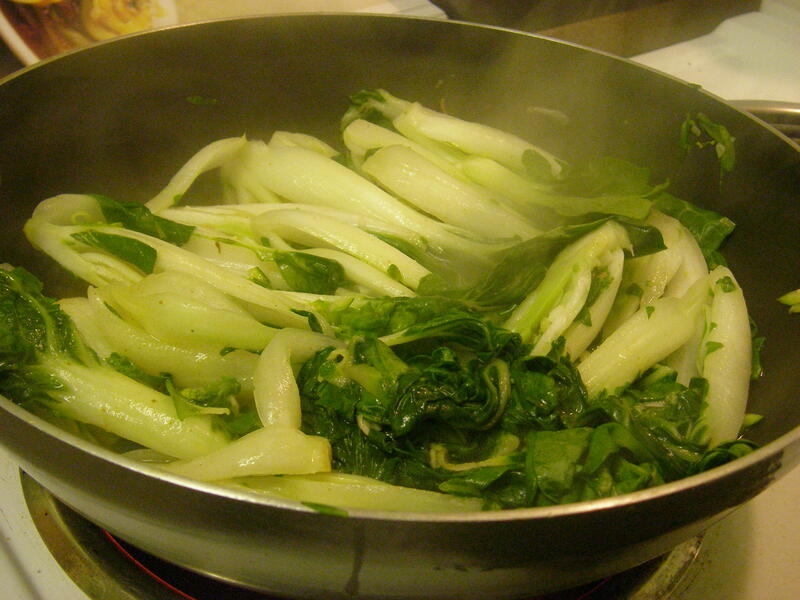 Note: When the bok choy cooks, it decreases to half its original size! Make sure you cook it only until the leaves are wilted, no further to maintain its nice crispness. Yum! I love Bok Choy… My mom puts it in broil in the over and they come out crispy and delicious, especially with some soy sauce on…. salty deliciousness.